Hadassah’s physicians and scientists are actively engaged in a wide variety of extensive basic and clinical research projects, looking for new ways to treat disease. Over half the hospital research conducted in Israel is carried out at Hadassah. Each department incorporates research units and there are many interdisciplinary research centers. In both hospitals and within a number of hospital departments, Hadassah has created Centers of Excellence: brain trusts of scientists and physicians, integrating clinical care with the latest laboratory lessons. Hadassah’s achievements in basic stem cell research to treat Macular Degeneration and neurodegenerative diseases such as Multiple Sclerosis (MS), Amyotrophic Lateral Sclerosis (ALS), Epilepsy, and Parkinson’s disease –are groundbreaking. Now Hadassah is using the results of that research to develop therapeutic approaches using stem cells to treat degenerative diseases of the brain. Successful clinical trials for a new treatment for ALS developed by Hadassah based on stem cell technology have been completed, and the technique is now in trials in the US before being made available to ALS patients around the world. Clinical trials have now started for a Hadassah stem cell based treatment for Muscular Sclerosis (MS) and for Macular Degeneration. “There is no doubt that a great drama is taking place here,” said one Hadassah doctor. For the past 16 years,Hadassah research has explored the use of the body’s own immune system to fight Melanoma (Skin Cancer). Hadassah is now using this knowledge with great success to treat otherwise incurable melanoma with personalized, enhanced vaccines. Hadassah researchers developed a drug to treat Non-alcoholic Fatty Liver Disease, which can lead to cirrhosis and liver cancer. The technology is now in FDA-approved clinical trials. 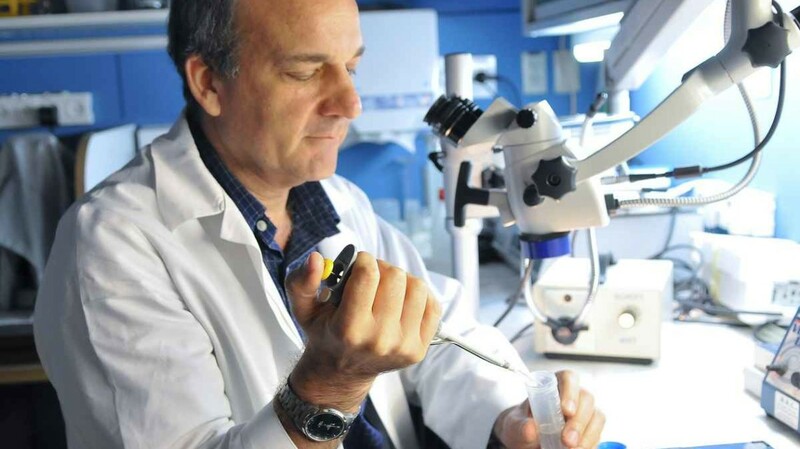 The work of researchers in Hadassah’s Diabetes Unit has led to the development of an oral insulin pill that has the potential to revolutionize the treatment of Diabetes. Hadasit, Hadassah’s Technology Transfer Company, promotes and commercializes the intellectual property and R&D capabilities continuously generated by Hadassah physicians and scientists. Hadasit’s successful enterprising of Hadassah’s biomedical technology – including novel therapeutics, diagnostics and devices – has gained Hadassah global recognition. Hadasit Bio-Holdings Ltd. is listed on the Tel Aviv Stock Exchange. See www.hadasit.org.il. Hadassah’s doctors and scientists are regarded as some of the best in the world, and take great pride in applying their research to cure their patients. Hadassah is finding the cure for many terrible diseases that have not been treatable until now, and the whole world is benefiting from this remarkable research. 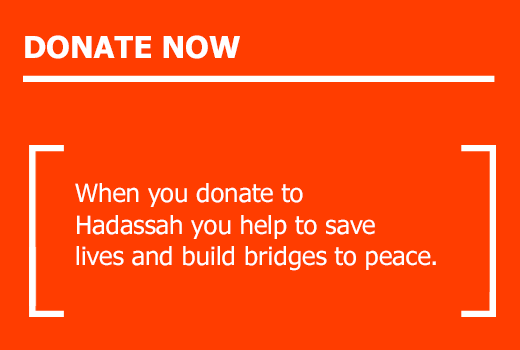 Your donation to support the exceptional Research at Hadassah will save the lives of people with diseases like ALS, MS and Melanoma around the world. Please take the time to watch this very informative TEDx lecture video below by Prof. Tamir Ben Hur, the Hadassah Medical Center’s world-renowned neurologist and stem cell research specialist, explaining Hadassah’s exceptional research. Contribute to Hadassah’s promise to serve the people of Israel—and the world—for the next hundred years with world-class healing and research.